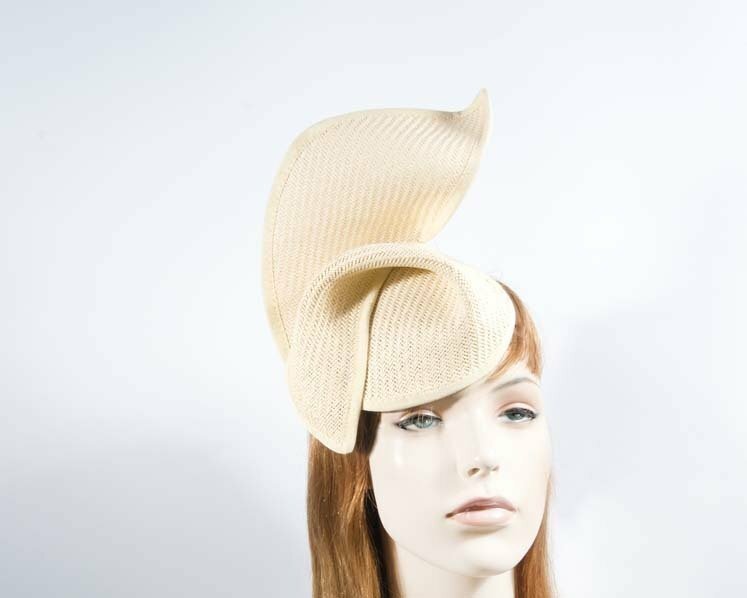 This beautiful natural ladies fashion fascinator hat from “Max Alexander” Spring racing collection features elegant wavy shape and has elastic band for better fit. Designed for Melbourne Cup, Derby and spring racing carnivals. Buy ladies fashion hats online in Australia and SAVE!